In this episode I talk to Brian Shurman. 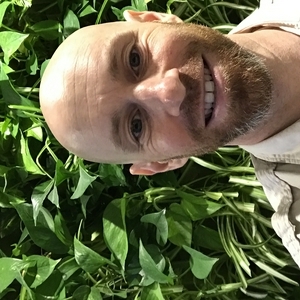 Brian is a corporate social responsibility leader for Flight Center Travel Group, an avid volunteer running several relief programs through the city of Toronto, he is very passionate about health and wellness, loves to cook and he about to get married. We take a little journey through memory lane and explore the reasons for Brian leaving his comfortable job and home, and taking off to Japan and then heading to Dubai. We look why he left and why he eventually came back. We discuss his new passion for social responsibility and making a different in his community and beyond. Most importantly we look at how he manifested his new life and how he was the one made it all happen. Meet Jason Mercieca: Emotions are contagious, practising the The Win Hoff Method and facing adversities to level up. Meet Richard Chan: Leaving a comfortable career and going after an uncomfortable new dream. In this episode I talk to Richard Chan. Richared is a former high school teacher, he recently left his position to pursue a career in real estate. He is also a surfer and outdoor enthusiast. We talked about what it was like for him to leave a comfortable job teaching, what his family and friends thought about his decision and how he used mindset to keep pushing him forward toward his new dreams. Richard is also part of my mastermind group. We went into detail about the power of a mastermind and how it helped him take the jump into something new and uncomfortable. In this episode I talk to Kate Hodgson. She is storyteller and entrepreneur. She runs 9to5 Narrative. Helping businesses tell their story and connect with your audiences. She is currently in a cross roads, deciding wether to continue with 9 to 5 or find a full time job. We talk about the challenges that come with trying to start your own business and the thoughts that came up. We discuss how to deal with theses thoughts and how important it is to have a vision. We go into changing your mindset and what it takes to change your habits. In this episode I talk to Mj, a very good friend. She is an artist, a nature lover, illustrator and has been through a big transition in her life. After being in a 18 year relationship she is now on her own and has an amazing story to tell.